Here, mentally handicapped and psychiatric patients are not shut away from society but have their own ‘neighbourhood’, to be integrated in a forthcoming residential area. 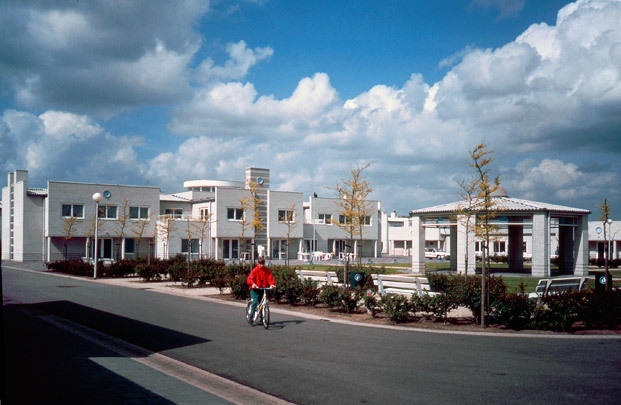 Communal facilities including buildings for administration, therapy, leisure and medical services stand around a central square. The patients live together in groups of eight in two dwelling types, bungalow and semi-detached. Like the symmetrical basic layout the architecture too is basic, geometrical and well-groomed.